As you'd know if you were reading Fine Art last week, Dishonored was originally intended to be a game set in 17th century London, rather than the whalepunk fictional universe it ended up creating for itself. 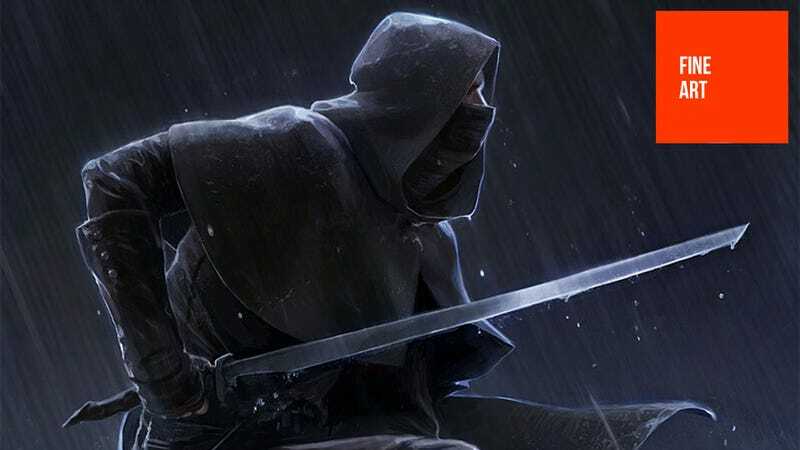 The decision to switch settings wasn't made instantly; there had been time for some art to be drawn up imagining a stealthy 1666 London, and the fact the period's garb makes hero Corvo so much like the star of the Thief series might explain why things moved on. That said, there's a Brotherhood of the Wolf vibe coming from those sketches that would have been nice to see in the final version. These pieces are the work of Wes Burt, a super-talented artist we've featured a few times here before. You can, and should, check out more of his stuff on his CGHub page. To see the larger pics in all their glory (or, if they're big enough, so you can save them as wallpaper), right-click on them below and select "open in new tab".